The question of where you’re going to watch the Big Game is just as important as who you want to win it. Your enjoyment of the largest sporting spectacle of the year can hinge on factors unrelated to events on the field. Like the width of people’s heads. Pick a venue where the TV screens are too small and you can miss the whole thing on account of a freakish cranium. Food is another consideration that can hugely influence your satisfaction. How many times have you accepted a friend’s invitation to watch the game, only to find out when you arrive to his sad and shadowy apartment you’ll be eating bag chips and clam dip out of a plastic container from that creepy off-brand convenience store? You know, the dicey one in the strip mall with cheap wood paneling that looks like it gets held up every half hour. Don’t risk your game day enjoyment on the unknown. Stop by Tahiti Joe’s, our sister property Tahiti Village’s onsite tiki bar. You’ll be treated to great food and drink specials and six 42-inch flat screen televisions showing the game well above head level. You won’t miss a thing! Tahiti Joe’s is serving all-you-can-drink domestic draft beer for a onetime price of $35, the purchase of which entitles you to a game day buffet of hot dogs, nachos, a taco bar, pizza and wings for another measly $10. That’s a lot of joy for just 45 bucks. Tickets are limited and going fast, so purchase early by calling (702) 440-6950. Or stop by Tahiti Joe’s and see the bartender. We’re kicking things off at 2:30 p.m., an hour before game time. Be sure to arrive early to stake out a premium landing spot. 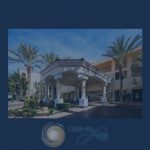 Tahiti Joe’s at Tahiti Village is located at 7200 Las Vegas Boulevard South and Warm Springs Road, just five miles from Club. We wish you an enjoyable Super Bowl (there, we said it) Sunday. May all your prop bets come through!